What parts will you pick? There's life yet in Google's Project Ara as the modular phone endeavor just got its own developer conference. Make that conferences. Google's Advanced Technology and Projects (ATAP) division sang the news on its Google+ page (where else? ), revealing the first Ara Developers' Conference will go down April 15 - April 16. It will be an online affair with a live stream and interactive Q&A, though a small number will be able to attend in person at the Computer History Museum in Mountain View, Calif. This will be followed by two more conferences sometime in 2014. The first will focus on the alpha release of the Ara Module Developers' Kit (MDK), which Google plans to release online in April. The MDK will essentially contain everything anyone needs to build an Ara module, or any component that can be used to build a smartphone, be it a keyboard, battery, processor or something else. All was quiet on the Project Ara front after Google sold Motorola to Lenovo last month. The project was under Motorola's wing, but since Google kept ATAP in the divorce, Ara went along too. 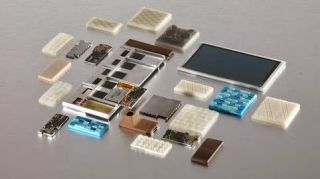 Now that Project Ara has its own developer conferences, it appears Google is putting its chips on letting people mix and match their own handset parts. In addition to its ready-made phones like the Nexus 5, Google is working on more experimental fare like Project Ara and Project Tango, an Android phone that creates 3D maps of a user's environment using Kinect-like sensors. The April conference should shed light on whether Ara modules will ever make it into consumer hands or whether this moonshot is doomed to stay grounded. Either way, Google looks prepared to go all in. Know what else is going down in April? Build 2014.